QUESTION Is there any great disadvantage in allowing chicks of different ages to run together? ANSWER – Yes. The larger and stronger ones will invariably annoy and fight the weaker ones and prevent them from getting as much food as they need. 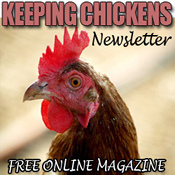 QUESTION Are chicks when first hatched the same color as the adult fowls? ANSWER – No. Some varieties are very different. Most chicks of black breeds will show a yellow or creamy color in some places, and chicks of the white breeds may be smutty or have dark patches in the down. 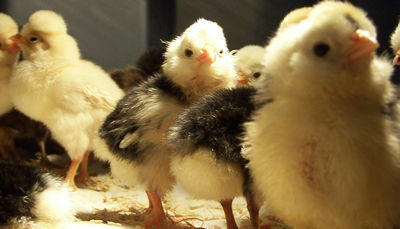 The parti-colored breeds produce chicks irregular in color. The true color begins to appear when the first feathers begin to show and after the first downy covering of the chick has disappeared.